Earlier in the week at the SBL meeting I visited a few minutes with Prof. Aren Maeir, excavator of Tell es-Safi/Gath. He is back home in Israel, and writes this morning about the cease fire between Gaza and Israel. Well, thank g-d a cease fire has been declared and that it appears to be holding. UPDATE: Uri Kaizer, the warden for the Tell es-Safi/Gath region from the Israel Nature and Parks Authority has informed me that the missile did not hit the site, but rather fell a km or two to the west. In any case, I pray that things will stay quiet and we can all get back to living our regular lives. You will recognize the last phrase in Maeir’s post as the common refrain from the book of Judges. 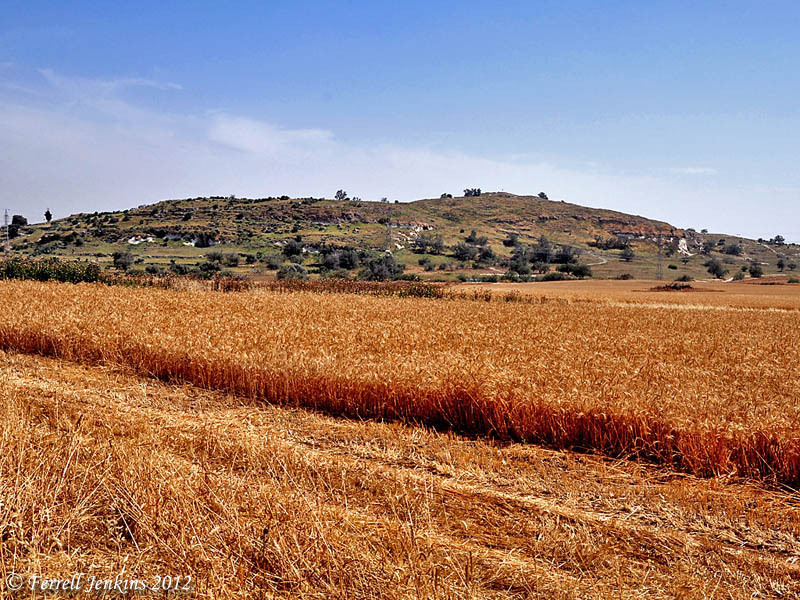 The following photo of Tel es-Safi/Gath shows the abundant wheat fields in the plain to the west of the tel. Tel es-Safi/Gath with wheat fields in the plain to the west. Photo by Ferrell Jenkins. This entry was posted in Archaeology, Bible Places, Bible Study, Israel, Old Testament, Photography, Travel. Bookmark the permalink.